Jaipur, also known as Pink City Jaipur is the largest city in state Rajasthan in India. The city was founded by Maharaja Jai Singh, the ruler of Amer. Jaipur is one of the most visited tourist destination in India. The city is rich in culture and heritage and holds great historical importance. 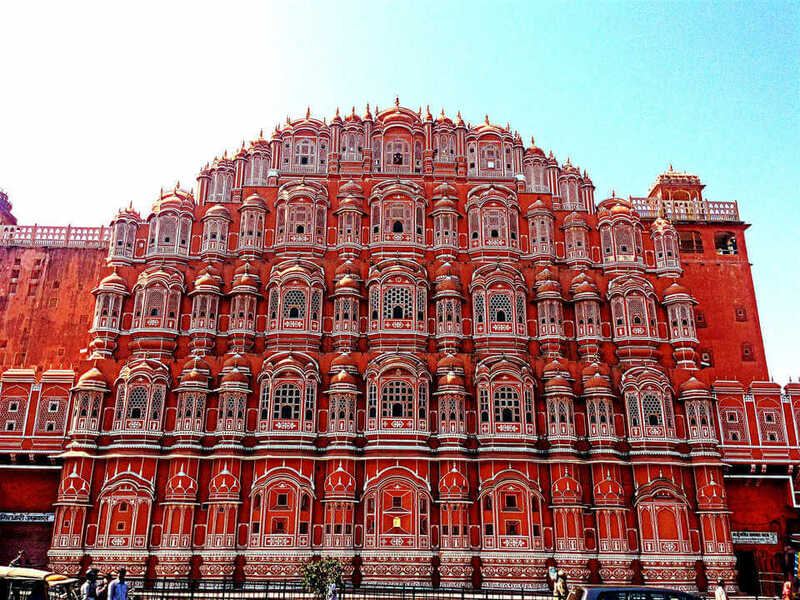 Pink City Jaipur is the part of the Golden Triangle Tour. The city is most famous for palaces, forts, and temples. Some of the most visited tourist destination that describes the culture and heritage of Rajasthan are Amer Fort, Nahargarh Fort, Jal Mahal, City Palace, Birla Mandir, Albert Hall, Birla Mandir, Govind Dev Ji Temple, and Jantar Mantar. The very famous Amer fort is located at a little distance away from Jaipur. The fort has an amazing architecture and is also famous for an elephant ride. Here animals are decorated with traditional painted patterns. One of the most fascinating attraction of Amer Fort is evening light and sound show. Apart from fort and palaces, the city is also famous for shopping. Handicrafts, silver jewellery, leather items, traditional clothes and Kundan Jewellery are famous in Jaipur. Don’t forget to buy these for your loved ones. Festivals in India plays a major role in following Indian Traditions and is celebrated with great fervor and joy. Some of the most famous festivals celebrated in Jaipur are Teej, Gangaur, Jaipur Literature Festival, and Elephant fair. People of Jaipur are very foodie and they love to eat. Famous dishes of Jaipur are makke ki roti, bajre ki roti, Dal Baati Churma, ker sangri, Ghevar, Feeni, Gajak, Moong Thal and Mawa Kachori.